This is a two-pack of coloring books. 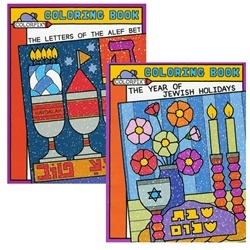 Large clear illustrations for children to learn and color. 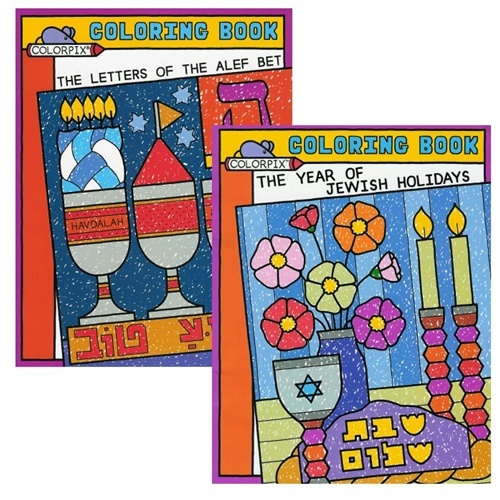 The Aleph Bet has the complete aleph bet and the Year of the Jewish Holidays covers holidays and tradtions.